Teddy Grable, original lead singer of the Concords (early 60s Doo Wop Band in Brooklyn/NY) was on my show in June 2011. Sue Thompson, a million selling record artist, gave me the hounour of being on my show in November 2010. Danny Mayers, vocalist of the original Delltones did an interview with me end of February 2012.
have fantastic and entertaining live performances! - The Saucermen, stunning Adelaide Rockabilly band. Go and see them live! - The fantastic Fishbowl Boys, a Barbershop quartet, on Youtube. Click here. recording (click here). They have many gigs lined up, about 2 a week. 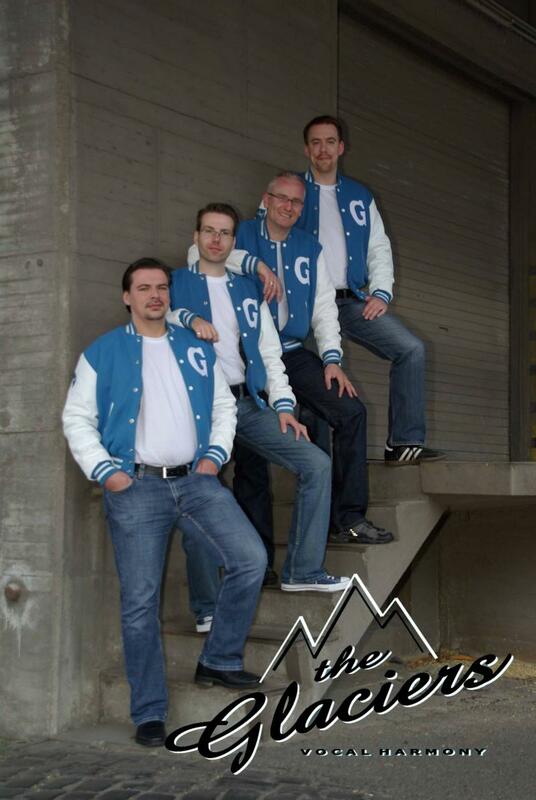 - The Silverados, another local Rockabilly band. Have a look at their Webpage. - The crew of the musical 'Leader of the Pack', performed in Adelaide in March/April 11. - Don't miss the Whisperones and hear their sound samples: Click here. - The Wise Guys. What a spin on group vocal sound. Click here. - The Sparkles. Great great stuff! See a preview of their new CD here. - The Doolangs. Unreleased and fantastic! Their Webpage with song samples. - The Earth Angels. Great doo wop - fantastic lead. Click here to go to their Webpage. - The Senti-Mentals: Doo Wop, Jazz, Ska.... What a band. Click here for their webpage. - Julien Neel from Paris: One man a cappella - what a perfect sound. Simply beautiful! Click here to listen to 'Goodnight Sweetheart' or click here for 'Come go with me'. Angelo Di Crescenzo - covers and composes 50s songs, which sound authentic 50s. In some songs he plays all instruments & lead voice. Woah!!! Click here to listen. the best Doo Wop Youtube videos with the rare coverage of German and British bands. Try the Roomates 'Shrine of St Cecilia' and Mysterials 'Let them talk'. They are just superb!!! 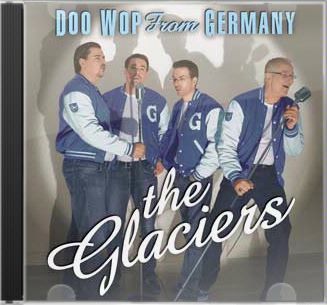 The signature song of the Doo Wop Corner was composed by the Glaciers (unreleased), a current German Doo Wop band. Their new CD has been released (click here). Real Killer Doo Wop of the finest. Many thanks to The Glaciers - I coudn't have wished for better signature songs.